The days of disk and CD installs are long gone, with over 85% of today’s applications being delivered as SaaS instead. But this shift comes with a few caveats – namely, the lack of an automatic, or in some cases, holistic backup and recovery option. 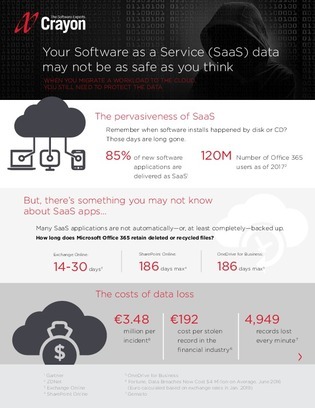 Click inside to uncover some important – and frankly, alarming – data points about common SaaS app data backup cycles, retention timeframes, data loss costs, and more – and find out what your organization can do to stay ahead.